Andrew's Opera: Met Rigoletto. Gavanelli trumphs. 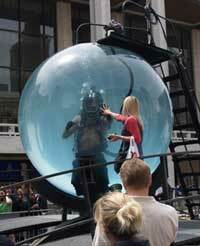 Water-sphere man a side show - only in New York!